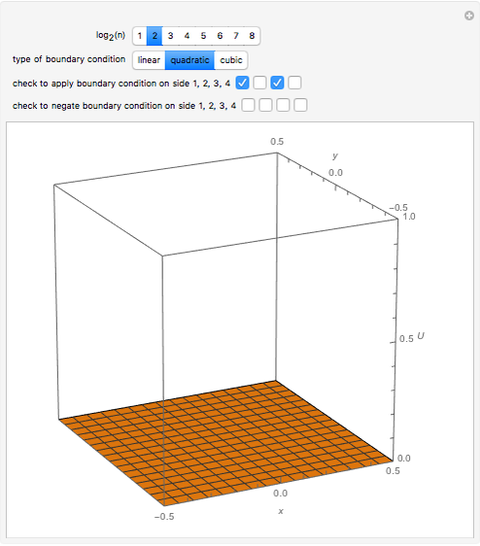 Given Dirichlet boundary conditions on the perimeter of a square, Laplace's equation can be solved to give the surface height over the entire square as a series solution. 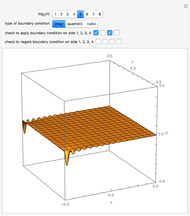 Depending on the smoothness of the boundary conditions, vary the number of terms of the series to produce a smooth-looking surface. 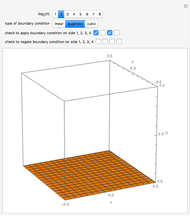 This Demonstration deals with the square and by shifting the variables, leading to slightly more complicated solutions. Solutions to Laplace's equation are called harmonic functions. 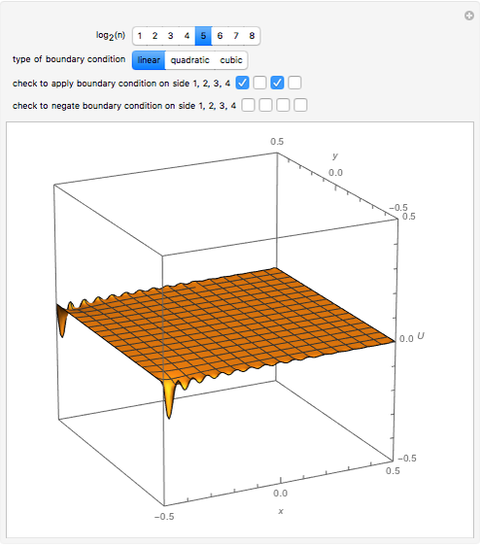 One of the properties of harmonic functions is that they will not attain any local minima or maxima inside the boundary; thus the minima and maxima are on the boundary, as defined by the Dirichlet conditions. Another property is that the solution at any point has a value that is the average of the values over the area of a circle defined with at its center. David von Seggern (University Nevada-Reno) "Laplace's Equation on a Square"